India has been celebrating the decriminalisation of nearly a fifth of the world’s LGBTQ people, after the historic ruling by its Supreme Court in Johar versus Union of India. Coming from a court with an appreciable jurisprudential influence among Commonwealth nations in Asia and Africa, the ruling’s impact will be felt well beyond India’s borders. But its significance goes beyond the immediate context of LGBTQ rights. The unanimous judgment not only overturns one of the most embarrassing previous rulings of the Indian Supreme Court, it signals a court willing to play an unabashedly partisan role in the ongoing battle over the idea of India. India’s framers chose to promote an inclusive, pluralist, liberal, democratic, egalitarian India under the constitution of 1950. They emphatically rejected the alternative of a majoritarian, monocultural, nationalistic India, even as they sought to accommodate all sections of Indian political opinion in the constitutional settlement. Barring the disastrous authoritarian decade of the 1970s under Indira Gandhi, this vision of Indian identity has broadly remained dominant. Until 2014, that is. In the last four years or so, this hitherto dominant vision has seen an unprecedented ideological challenge from majoritarian nationalism. Recent years have seen a dramatic rise in the scale of persecution and prosecutions faced by religious minorities, dalits and political dissidents. People have been lynched for allegedly ‘possessing beef’ or ‘smuggling cows’. Police investigations following these lynching have often focussed on whether the offending meat was in fact beef, as if its discovery would excuse if not justify the murder. Independent journalists have been threatened and assaulted. Some critics, like Gauri Lankesh, have even been murdered. Reporters Without Borders expressed grave concern regarding ‘Hindu nationalists trying to purge all manifestations of “anti-national” thought from the national debate’. Activists and civil rights lawyers have been arrested under internal security laws, after being characterised as ‘urban Maoists’. While every previous government is guilty of similar abuses, it seems that the nature and scale of recent events are qualitatively different, as evidenced by India’s nosediving performance on various democratic indices over the last few years. This is the context in which we should read the Court’s endorsement of my claim that ‘Indian democracy is at a crossroads.’ The court has not only acknowledged the existential crisis that Indian constitutional identity faces, it has also declared its unambiguous partisan support for inclusive pluralism and against majoritarian nationalism. Thus, Chief Justice Mishra declared in his opinion that courts must be guided by our ‘constitutional morality’ rather than the ‘majoritarian view’. Justice Chandrachud was more emphatic, noting that ‘our Constitution does not demand conformity… It nurtures dissent as a safety valve for societal conflict….We miss the symbols of a compassionate and humane society only at our peril’. The ruling affirms the Court’s role to protect all minorities, not just LGBTQ people. These comments echo a similarly far-reaching judgment on the right to privacy, delivered last year (but one whose promise remained unrealised in the Aadhaar ruling this year). In the 2017 Puttaswamy case, the government had tried to convince the court that Indians did not have a constitutional right to privacy. While ruling that they did, the court declared that the constitution protects ‘what and how one will eat, the way one will dress, the faith one will espouse’. Earlier this year, another Supreme Court case concerned a Hindu girl who had converted to Islam and married a Muslim man. In a context where the ruling party has stigmatized interfaith marriages by labelling them ‘love jihad’—an organized conspiracy to coerce Hindu girls to convert to Islam—a lower court had annulled the marriage of two consenting adults on spurious grounds. Reversing the decision, the Supreme Court insisted that ‘The strength of our Constitution lies in its acceptance of the plurality and diversity of our culture. Intimacies of marriage, including the choices which individuals make on whether or not to marry and on whom to marry, lie outside the control of the state’. As this last example clearly shows, LGBTQ people are not the only minorities in India whose basic liberties are being threatened. Even though the National Investigation Agency has found no truth in the alleged ‘love jihad’ conspiracy, it is unlikely that we have heard the last on the matter of majoritarian interferences with fundamental personal choices. In developing a broad counter-majoritarian jurisprudence, the court appears to be girding up for a combative institutional role as the protector of persecuted minorities. In some ways, this was a déjà vu moment for the court. Many commentators attribute the brevity of Indira Gandhi’s authoritarianism to a judgment by the Supreme Court in 1973. In that judgment, the court had preemptively placed limits on Parliament’s power to amend the constitution and legitimize her autocratic rule. In 2018, the court has sent more mixed signals. While it has given judgments striking down the criminalization of homosexual conduct and adultery, it has also tolerated significant constitutional abuse, for example in the Aadhaar case (not only for failing to adequately protect the right to privacy, but—perhaps more importantly—for eviscerating the Upper House’s role as a check on executive power by accepting an extremely broad definition of a ‘Money Bill’). The Court’s refusal to come to the aid of Rohingya refugees who were deported by India in violation of non-refoulement norms is another example of the Court’s failure to stand up to its counter-majoritarian role. Another very disturbing ongoing case concerns the potential rendering of millions people stateless in a court-driven citizenship determination exercise, where people of an Eastern state have been asked to prove their citizenship with documentation dating back to the early 1970s. The Indian Supreme Court remains a complicated, polyvocal, court, and cannot be attributed any coherent ideological or jurisprudential worldview. This, at a time when the defining role of inclusive pluralism to India’s constitutional identity is at stake. Majoritarian nationalism is waging a spirited battle, not just for continued political relevance but for reshaping the very idea of India. As the abuses pile up, so will the cases on the court’s docket. The Court cannot save Indian democracy on its own. But it must do what it can. It owes a solemn obligation to the Indian people to remain unflinching in its defense of constitutional morality. 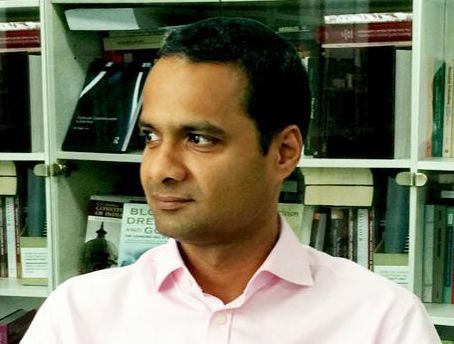 SUGGESTED CITATION Khaitan, Tarun: Indian Democracy at a Crossroads, VerfBlog, 2018/10/22, https://verfassungsblog.de/indian-democracy-at-a-crossroads/, DOI: https://doi.org/10.17176/20181026-145921-0.